Fox 25 news is bringing their summer Friday Zip Trip to Bridgewater on June 10th! If you go to their website at Fox 25 news, you can answer questions about Bridgewater. They have a questionnaire all set up and it covers things like a hidden treasure of our town, favorite places to go and eat, people that have done extraordinary things, what we are known for and so on. Please pass this on to everyone in your address book that lives in Bridgewater as it will be great to highlight all the good things in town! On April 9, with a record of 9-1-0 in qualifying matches and a subsequent 1st place seed going into the heart of the competition, TJ2 – the Bridgewater/Raynham High School robotics team – won the quarter finals 2-0, the semifinals 2-0 and the finals 2-1, therefore winning the Boston Regional FIRST Robotics Competition for the second year in a row. The website team also won the Best Website award in Boston. Wednesday, April 27, the team heads to St. Louis to compete in the national FIRST competition. With over 300 teams expected to compete, it will be a daunting, yet exciting, challenge. The competition will be simulcast through the NASA website, http://science.ksc.nasa.gov/robotics/. For more info on FIRST or TJ2, visit www.usfirst.org and www.tj2.org. The Bridgewater 99 Restaurant will be the place to be tomorrow night for Mitchell Night at the Bridgewater 99! Every customer who brings the coupon enclosed here will help in raising funds for the Mitchell School. A portion of proceeds will be donated to the school so make sure you click the link and print the coupon! What a great way to help out the Mitchell School and not have to cook! Please join BSU for drumming, dance and discussion with our guest speakers Donna Edmonds Mitchell and Tall Oak Weeden. Sponsored by a DIRI course-embedded grant, the Music Department, and U.S. Ethnic Studies Program. The Rotary Club of the Bridgewaters will be hosting their Annual Pancake Breakfast & Yard Sale. Please click the photo above for more information. The Town of Bridgewater is seeking a volunteer to fill a vacancy on the Olde Scotland Golf Commission for the purpose of overseeing operations of the Golf Course located within the Town of Bridgewater and promoting and developing golfing programs and other recreational activities on said course as may be deemed in the best interest of the Town. The individual selected will fill the unexpired term of the member who resigned, which ends April of 2012.
Letters of interest should be sent to Ron Adams, c/o Town Hall 64 Central Square, Bridgewater, MA 02324 or radams@bridgewaterma.org by noon on May 6th, 2011. In celebration of Arbor Day, Tree Warden Bill Maltby states that there will be free tree seedlings available for town residents. The trees have been made available by the Bridgewater Improvement Association with the assistance of the Highway/Forestry Departments and will be distributed by the Green Committee on April 23rd (Election Day) from 10AM to 2PM. This year's program will feature Concolor Fir seedlings and Serviceberry shrubs. The Concolor Fir grows to 30-50 feet with a 15-30 foot spread, a conical shape and has beautiful foliage. 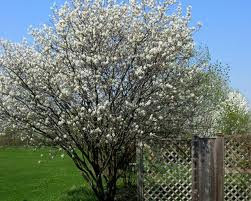 Serviceberry grows 6-10 feet high with white flowers and velvet red fruit. The seedlings will be available on a first come basis at the parking lot of the Bridgewater Middle School on Saturday at Town Election beginning at 10AM. Quantities are limited. For more information, please call the Forestry Department at 508-697-0932. A number of local agencies and businesses have partnered to present a fire safety demonstration at Bridgewater State University as part of annual Springfest events on campus. The demonstration, which students are calling “Great Balls of Fire!” will be Friday, April 22, at 1 p.m. in the Lower Great Hill Lot behind East Hall. The event is a collaboration between the Bridgewater Fire Department, Yankee Sprinkler Co., the National Fire Protection Association, Home Depot and Bridgewater State University. Two replicas of residence hall rooms, decorated by Bridgewater State students, will be set on fire. One room will have a sprinkler system and the other will not. Bridgewater Fire Chief George W. Rogers will narrate and explain to the audience what is happening as the fire spreads throughout the rooms. The demonstration is open to the community, students, faculty and staff, and will be taped by the university to create public safety announcements. 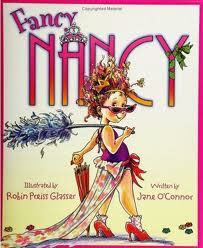 The Children’s Room of the Bridgewater Public Library will hold a Fancy Nancy Party on Wednesday, April 20th at 2:00 p.m. Activities at the program will be based on the Fancy Nancy books by Jane O’Connor. Registration is required and begins Monday, April 4th. To register, stop by the Children’s Room or call 508-697-3331. This will be the 2nd Annual Around the Common downtown Bridgewater cleanup! 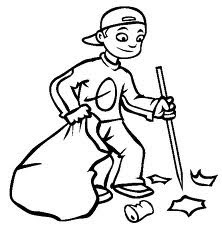 Last year we hauled several bags out of downtown and left the area "Around the Common" to look a little cleaner than when we arrived. Please pass this on to people you think might be interested. We will meet in front of the Academy Building at 9AM. 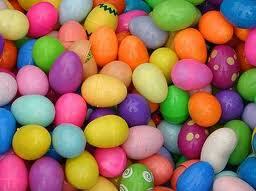 The Bridgewater-Raynham LEO club is hosting a free Easter egg hunt on Saturday, April 16 at 11 AM. The Egg Hunt will take place at the Bridgewater-Raynham High School softball field. The LEO club is a place for young people ages 12 to 18 to make a difference in the community while they have fun, make new friends, and develop leadership skills. The Social Justice League at Bridgewater State University is hosting the 4th Annual Just Trade Fair on Thursday, April 14th from 11AM to 4PM. The event will take place in the Rondileau Campus Center Large Ballroom. Stop by the Just Trade Fair, an all-day marketplace for conscious consumption. Local vendors will be selling Fair Trade goods, artisan crafts and other ethical items inclusive of coffee, tea, food, clothing, handbags and jewelry. Free coffee will be provided from 1-3 in a coffee tasting! 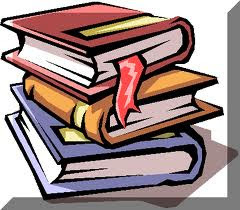 National Library Snapshot Day is coming to the Bridgewater Public Library. On Wednesday, April 13, the Bridgewater Public Library will join libraries statewide and across the nation to provide a “snapshot” of what happens in a day in the life of your local libraries. Snapshot day is supported by the Massachusetts Library Association (MLA) and the American Library Association (ALA) which will compile reported data from all participating libraries to create a “snapshot” of libraries in America. This data will help show how many books are checked out, how many people use a meeting room, receive help finding research material, use a library computer, or attend programs that day. During Snapshot Day, libraries will supply their collected data and photos to the MBLC and ALA to help demonstrate the value of libraries and raise public awareness that libraries are busier than ever. National Library Snapshot Day is part of National Library Week, and an especially fun time to be at the library. Stop by to use the Internet, pick-up books or DVD’s, find some good music, borrow a children’s book or puppet, view the “Bridgewater: Hunt for the Past” photography exhibit in the gallery, read the newspaper, or enjoy a piece of National Library Week cake which is generously donated by the Friends of the Library. Bring your children upstairs to our children’s room where they can draw a picture about what they most like at the library and then display their work. “Libraries are busier than ever, we see this every day, National Library Week is a good time to show everyone just how busy we are, and Snapshot Day is a great way to get a look at the statistics from across the state and country,” said Library Director Sean Daley. Busy days are the norm at libraries across the state. Over the past decade, libraries in Massachusetts have experienced a dramatic surge in usage, including a 50% increase in library visits, while experiencing a 39% reduction in state funding to support libraries. Bridgewater, because of its current decertification status, is unable to receive any state funding at all. Nationally, Snapshot Day is supported by the American Library Association. Massachusetts Library Snapshot Day is sponsored by the Massachusetts Board of Library Commissioners, the Massachusetts Regional Library System, the Massachusetts Library Association, and the Massachusetts School Library Association. Visit: mass.gov/libraries for more information about Snapshot Day or call the Bridgewater Public Library at 508-697-3331 for information about local library programs and services. The Kiwanis Club of Bridgewater will host their annual pancake breakfast tomorrow morning. Pancakes, eggs, sausages, fruit and beverages will be served. Bring your family and friends. Support Kiwanis town charities and enjoy a delicious and nutritious reasonably priced breakfast! Bob Wood will be exhibiting a display of historical maps and old photographs of Bridgewater: “Hunt for the Past” in the Bridgewater Public Library’s Flora T. Little Gallery from April 4th through the end of the month. Mr. Wood is a Bridgewater resident with a penchant for local history. He is a member of the Bridgewater Historical Commission, is active at the Old Bridgewater Historical Society in West Bridgewater, and volunteers on Tuesday evenings in the Historical Room/Archives of the Bridgewater Public Library. The gallery is open during regular hours at the library: Monday 4-8; Tuesday 1-8; Wednesday 10-5; Thursday 9-5; Saturday 10-2. On Monday, April 11th at 8 pm in the Horace Mann Auditorium of the Boyden Hall (Bridgewater State University) the Textures Chamber Music Group led by Dr. Deborah Nemko will be joined by the Bridgewater State University Jazz Combo, Saxophone Quartet and others in a concert to raise money for survivors of the recent Japanese disaster. Feeling a strong connection to their fellow Japanese students, the Textures Ensemble has decided to donate proceeds of their concert to help the recovery efforts in Japan. Music will include works from jazz to early music and everything in between. For more information please email dnemko@bridgew.edu or phone 508 531-204. The Bridgewater Council of Churches is sponsoring a Good Friday Walk to benefit the Bridgewater Food Pantry, Sharing, Inc., and outreach programs. The 5-mile walk, which begins at the Scotland Trinitarian Congregational Church at 1000 Pleasant Street, Bridgewater, will be held on April 22nd, 2011. Registration is from 9:15-9:45 AM; worship will begin at 9:45 AM, and the Walk itself will begin at 10. You can help by walking or sponsoring a walker. For more information on Sharing, Inc., visit www.walkingongoodfriday.org. For more information on or to register for the Bridgewater Good Friday Walk please contact Carol Chaffee at 508-697-3728 or galchaffee@msn.com .